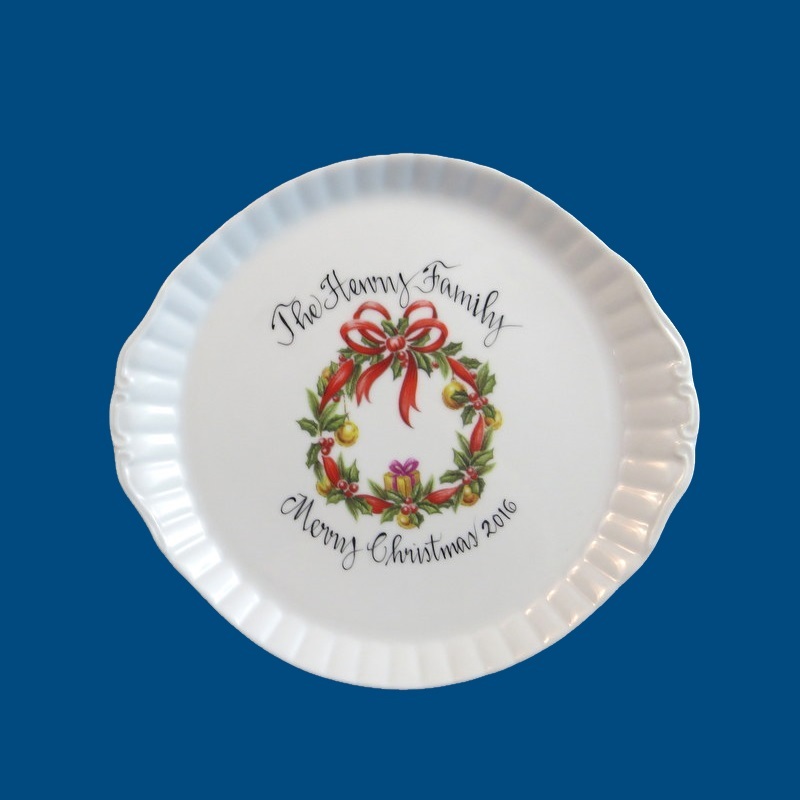 Our�hand painted porcelain Christmas�wreath plate is� wonderful�decoration for a coffee table or mantle for the holdiays.� It is decorated with a festive holiday design. The individual's name or family name is personalized on front along with a holiday message.� On the back you can hand paint�a short personal message such as� "Love, Mom and Dad. "� A gift box with tulle ribbon and enclosure card is complimentary with your purchase.